This month I received copies of 3 magazines my work has been featured in. That's pretty exciting! 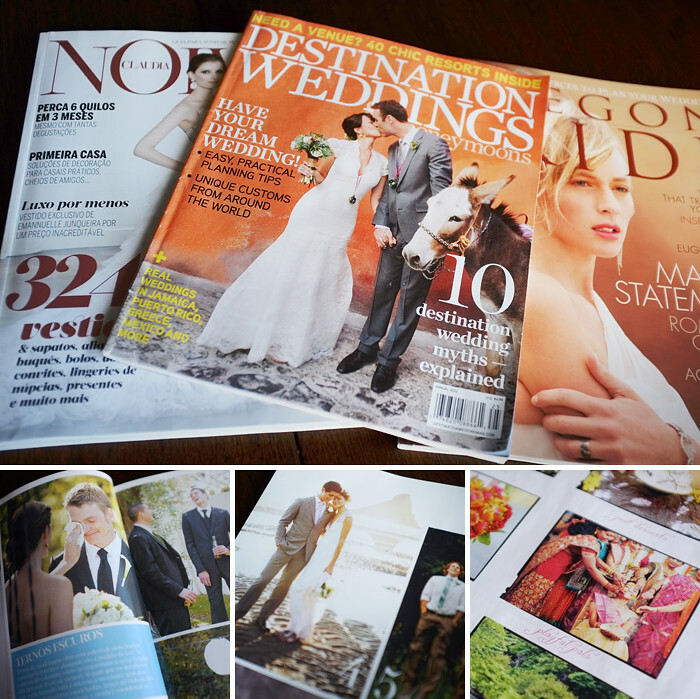 Check out the latest issues of Oregon Bride Magazine, Destination Weddings and Honeymoons, and Noivas Claudia.